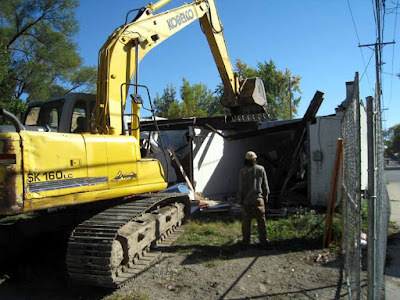 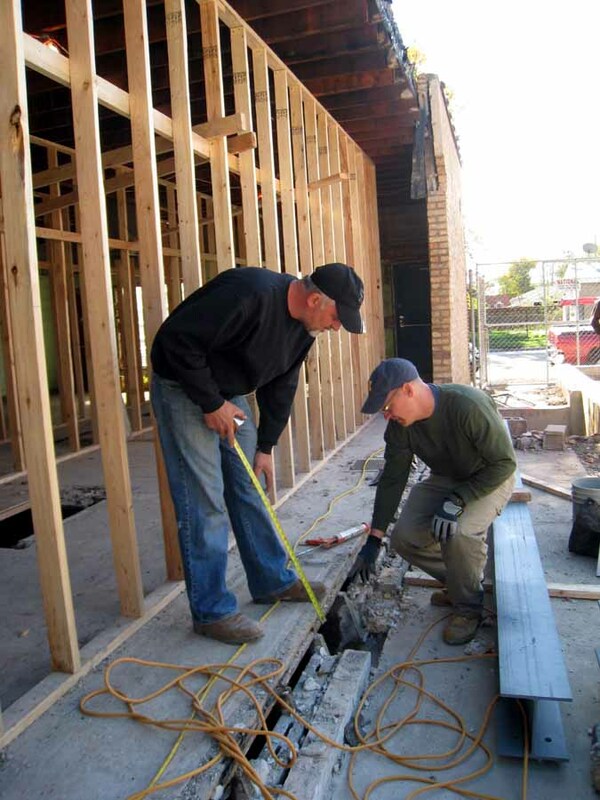 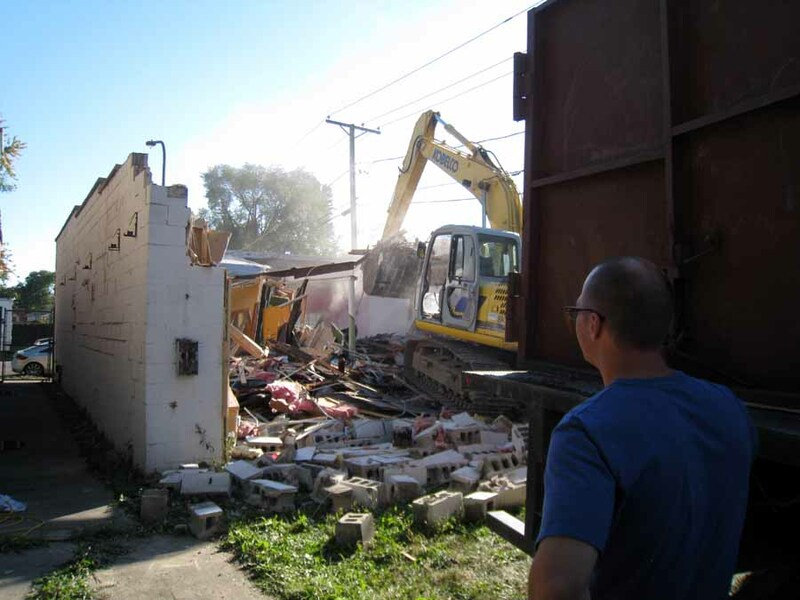 Matt and I started interior demolition at our latest adaptive re-use project, 1709 -15 SIMPSON on 9.27.10. Exterior demolition and pre-shell excavation/ concrete quickly followed and completed. 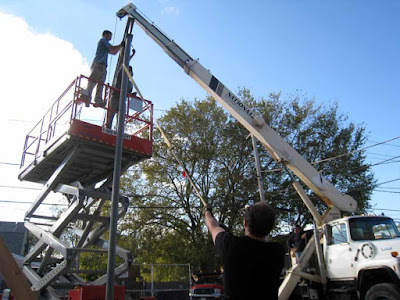 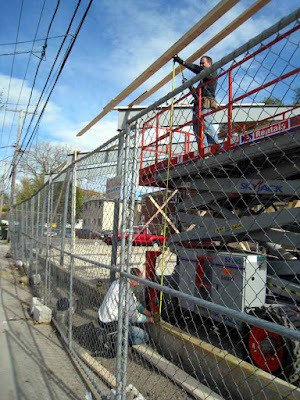 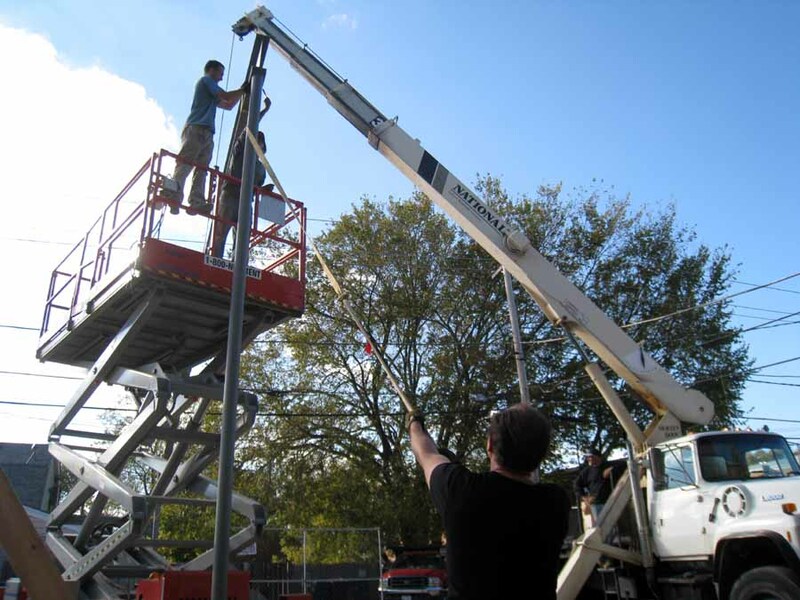 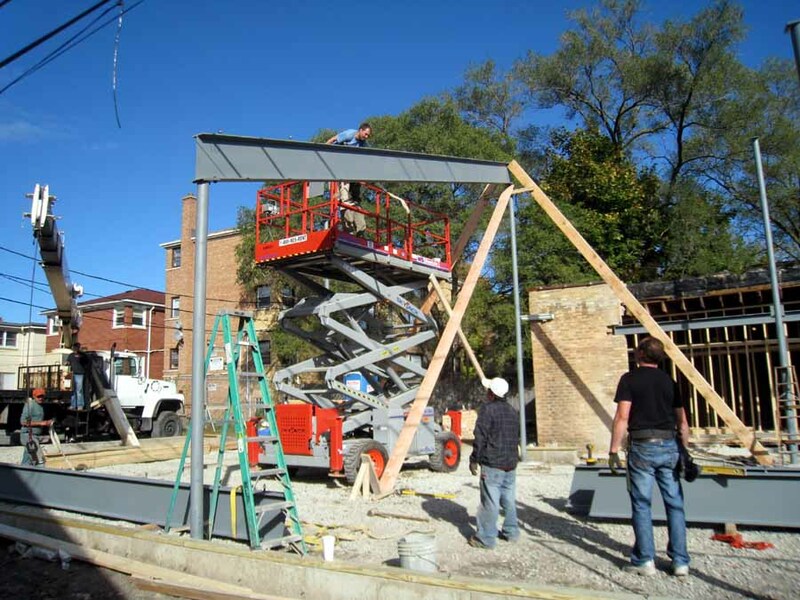 All metal, masonry and concrete products are re-cycled. 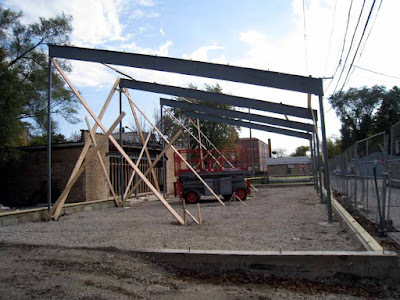 The masons have now started.Structural steel erection and carpentry follow at the end of the week. 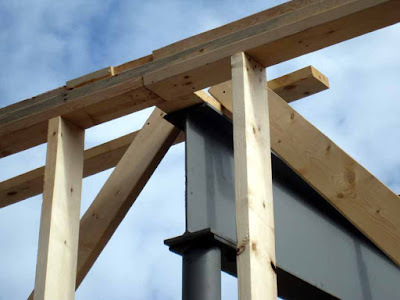 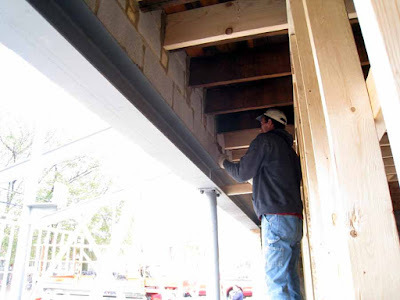 Our challenge is to have the shell built and weathertight before the weather turns. 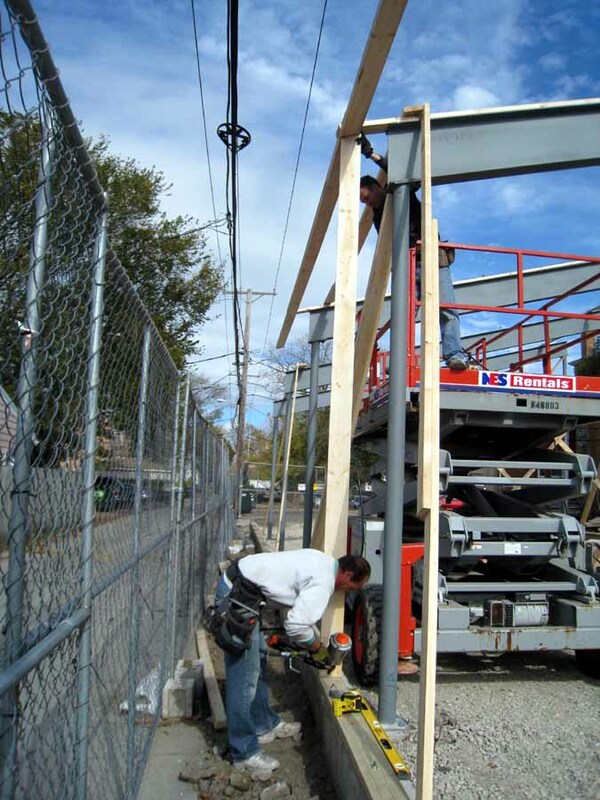 Project coordination is paramount…WINTER is coming. 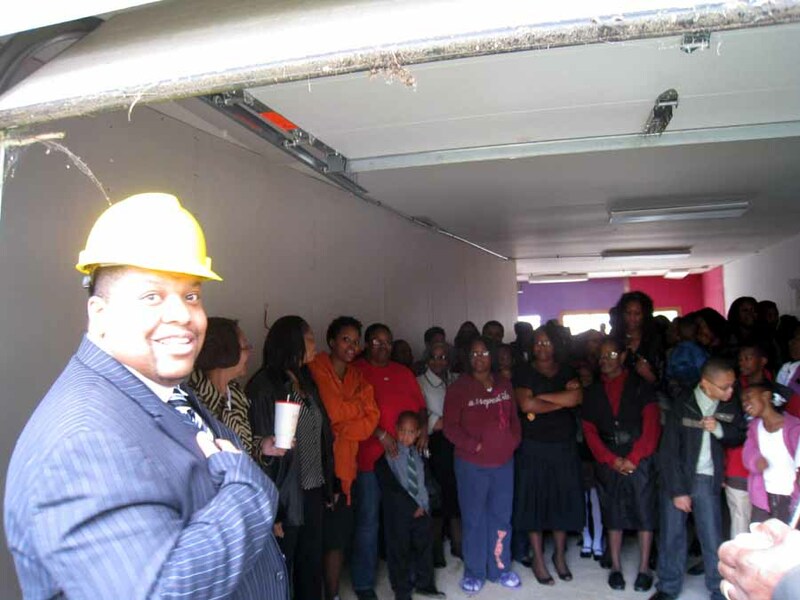 reverend chery & the congregation @ the ground breaking ceremony. 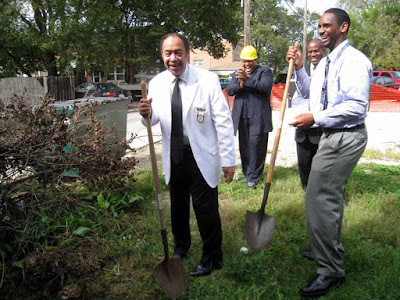 clarence & ken...shovels in hand. 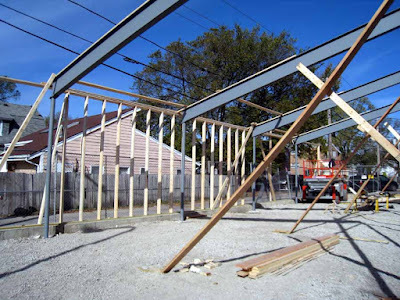 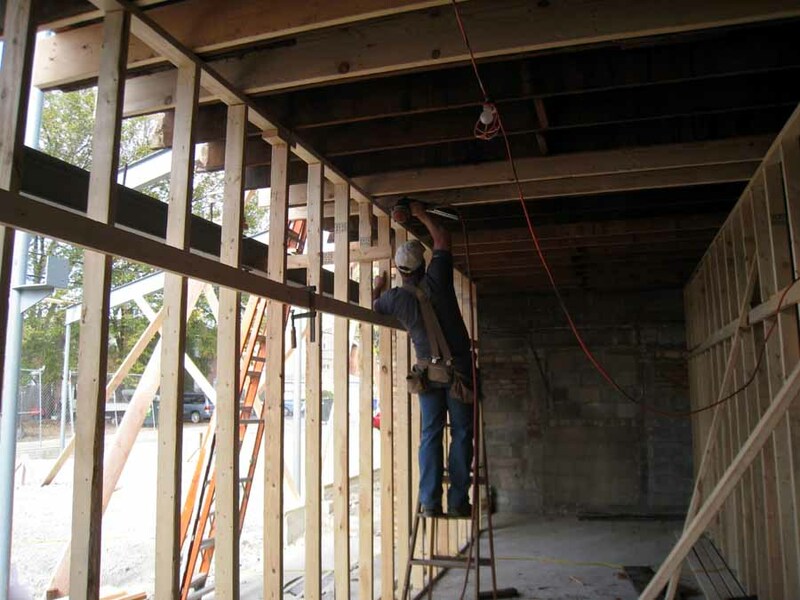 interior demolition (east storefront): ceiling joists have been removed. 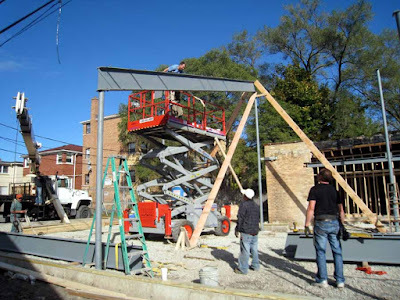 raised concrete platform being broken out. 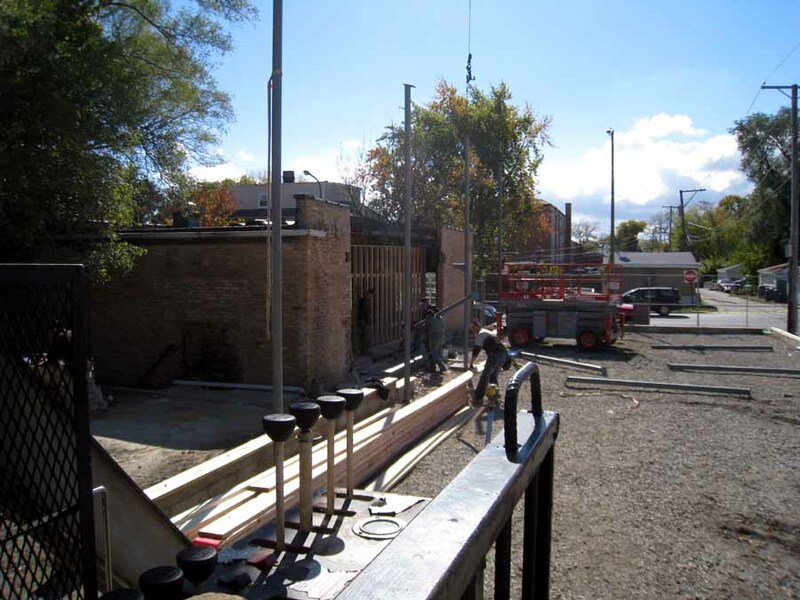 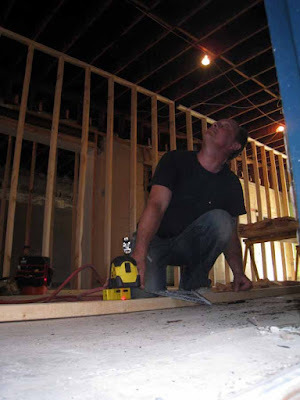 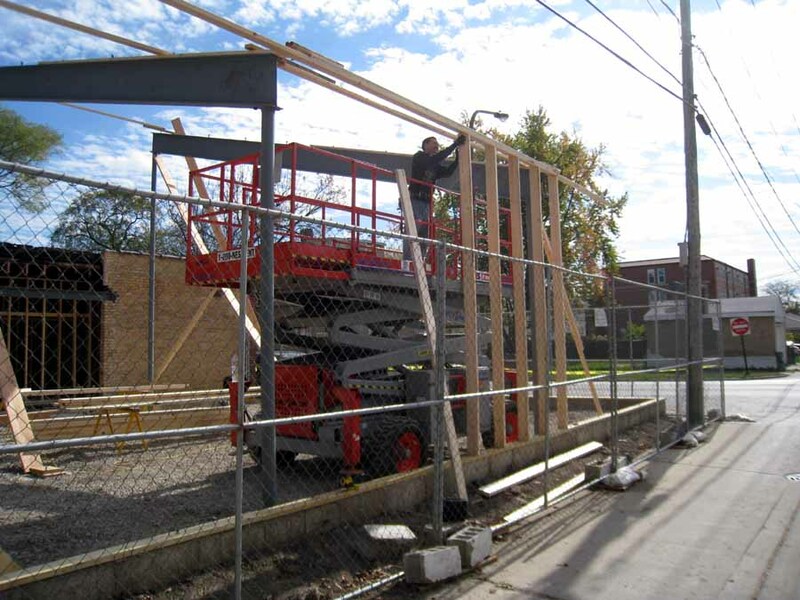 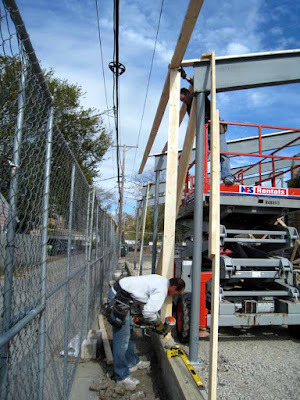 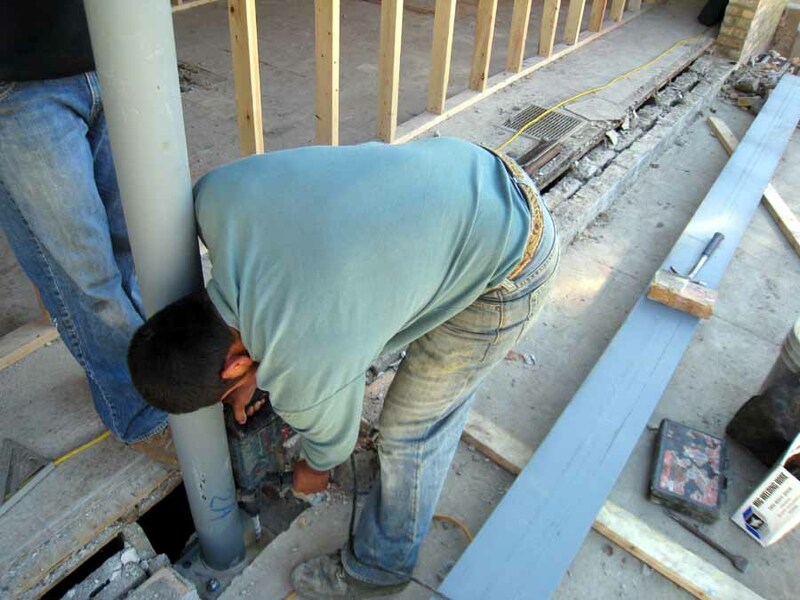 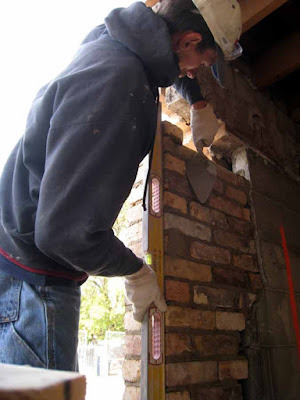 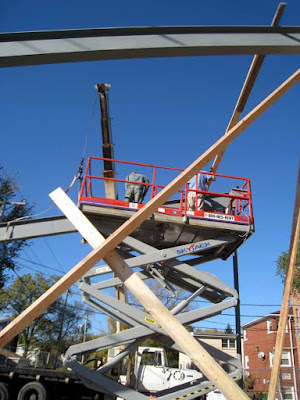 carpentry: tomek is installing shoring at the east storefront, new masonry openings to follow. 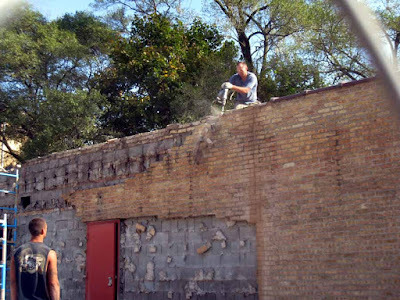 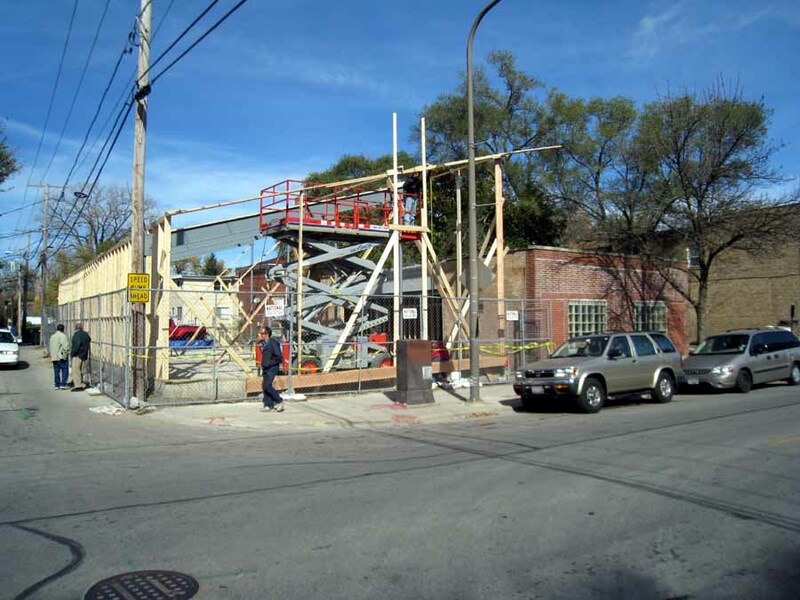 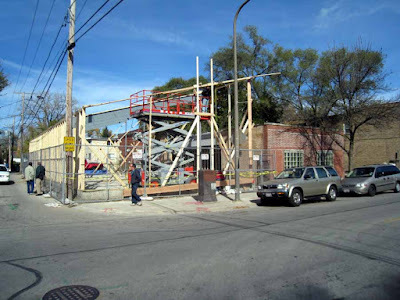 exterior demolition: west storefront roof is removed first, walls to follow. 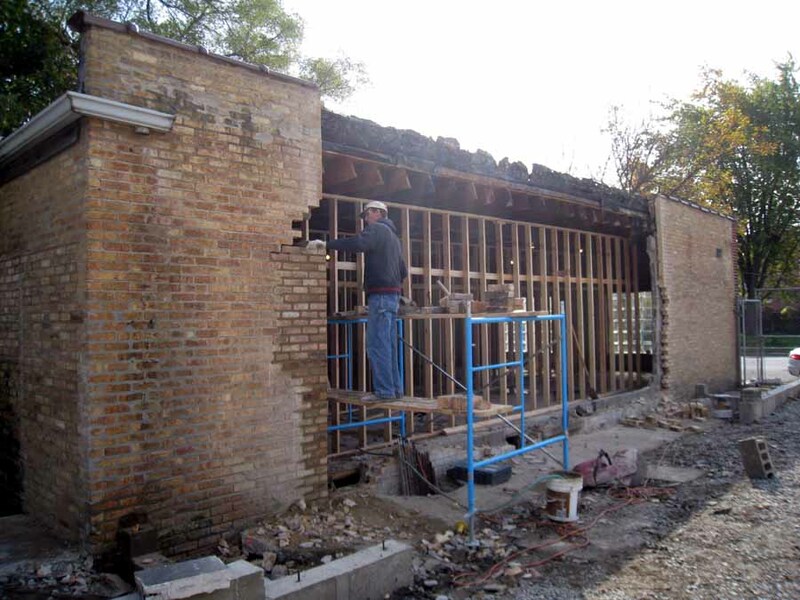 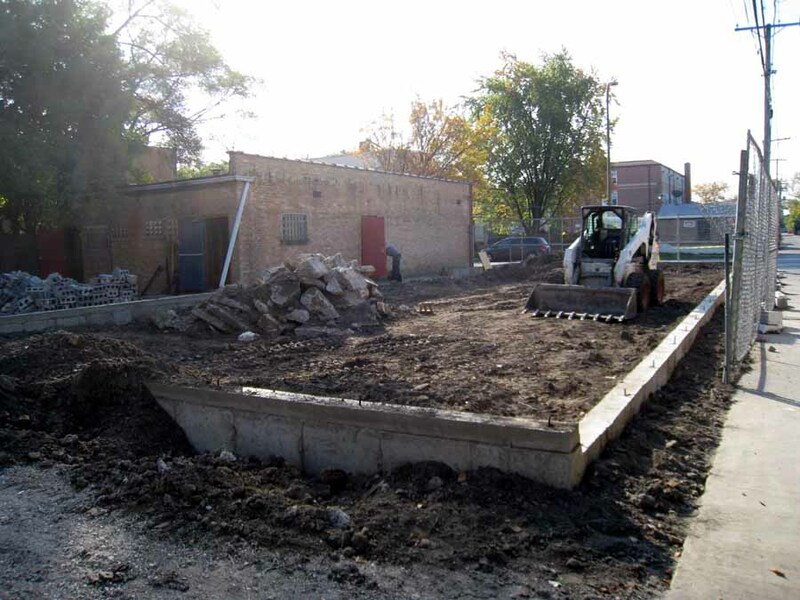 exterior demolition: west storefront roof has been removed, walls in progress. 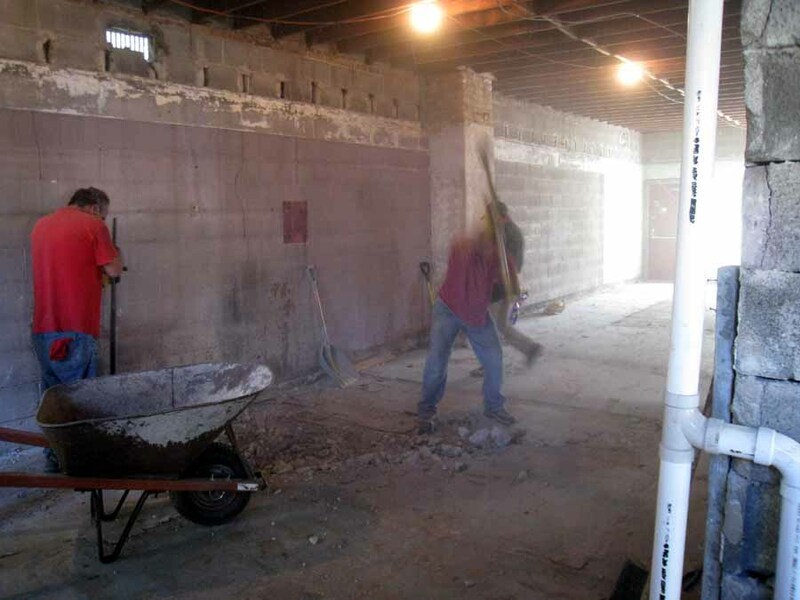 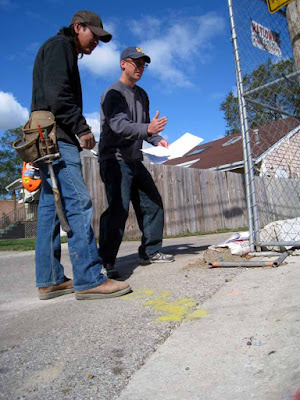 excavation/concrete: matt & esualdo start laying out the building addition exterior. 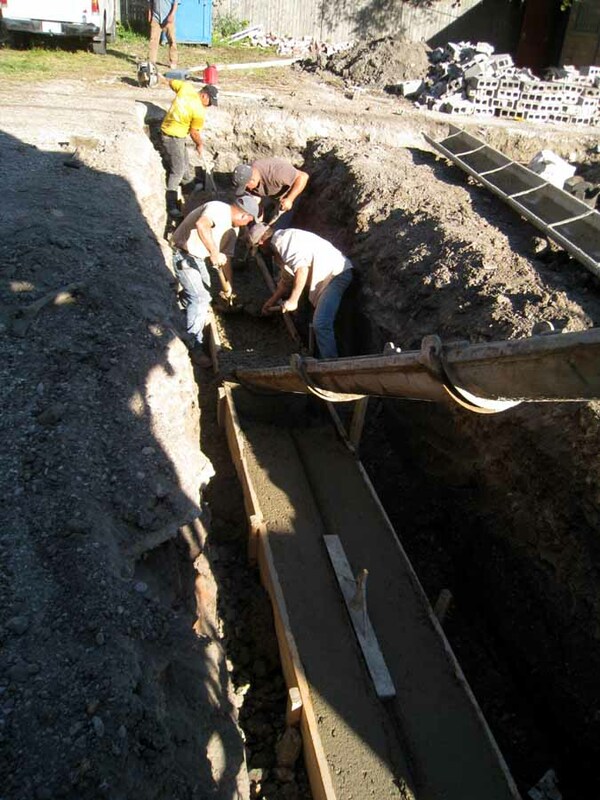 excavation/concrete: new concrete footings are poured. 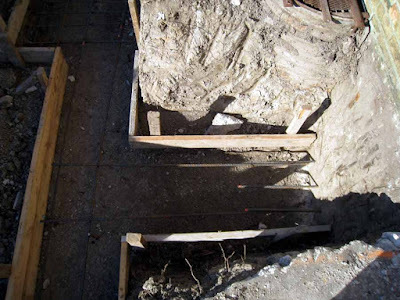 excavation/concrete:#5 rebar is doweled into the existing footing intersections. 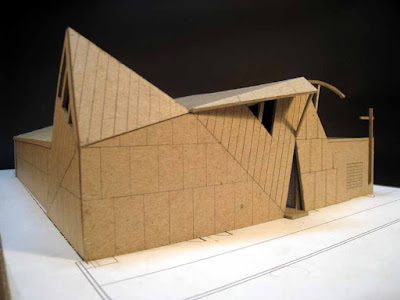 the existing and new structure need to work as one. excavation/concrete: new walls are formed, a 2x6 plank is added to get the required height, bracing is being installed. 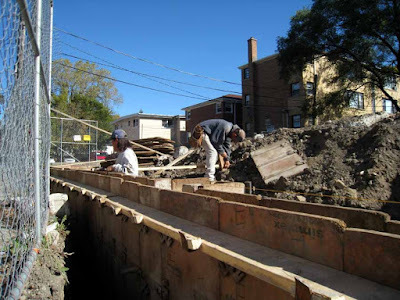 excavation/concrete: forming is complete, braced and concrete ready. 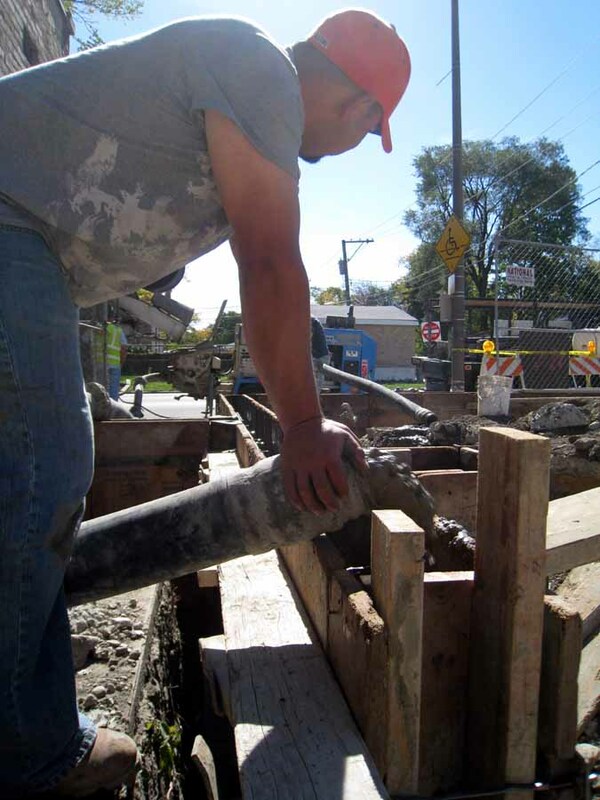 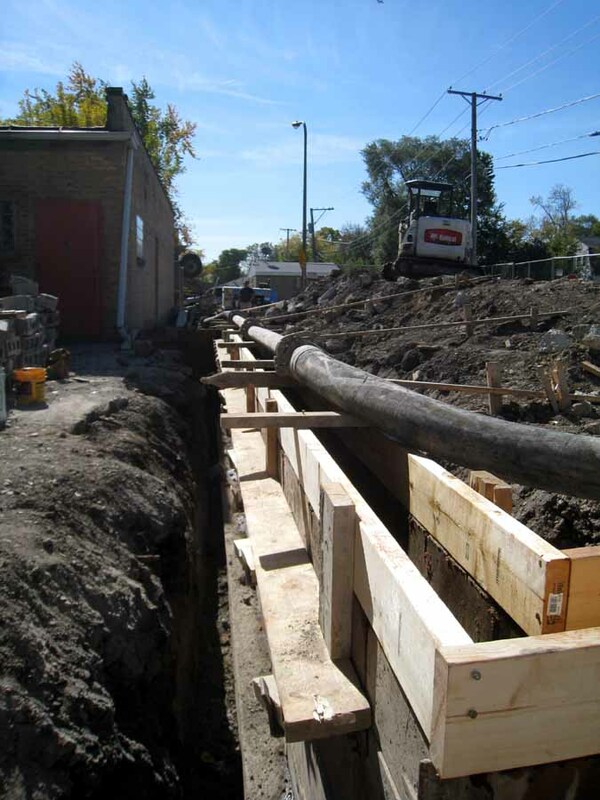 excavation/concrete: concrete is pumped into the forms. This technique allowed us to pour all the walls in one day. excavation/concrete (looking SE): the concrete forms have been "stripped" and the excavation has been backfilled. notice the broken concrete and block from the building's previous "incarnation" ready for re-cycling.